On April 26, 2014 I sat at my computer, glued to Twitter. 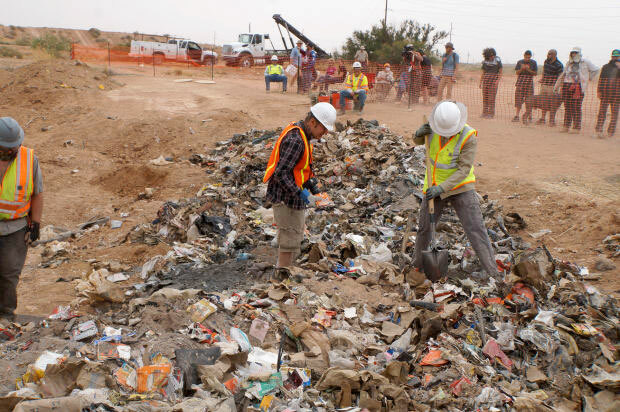 It was the day of the big dig in Alamogordo, NM and the town's defunct landfill was full of construction equipment, filmers, journalists and gamers. Pictures were being Tweeted and a great story was unfolding in my timeline. I had read blurbs online about this project, but never had a clear idea of it's progress. It seemed to go from full steam ahead to issues from regulatory agencies. About a week before the dig, it seemed to be coming together. Had the details been just a bit more solid, I would have arranged a trip our to that dusty landfill. As far as I could tell, this was a hit-or-miss effort and I wasn't willing to risk a cross-country flight on the info I could muster. For decades, Atari has been at the center of a legend that their video game E.T. The Extraterrestrial was the demise of both Atari and the gaming industry at that time. This falsehood has spiraled into allegations that E.T. is the worst game ever made and vilified Howard Scott Warshaw for creating the game. Rumors also spread that millions of copies of E.T. was buried in a New Mexico Landfill. Mason Cramer, Matt Miller, Michelle Ireland, Brent Dolan, Carrie Swidecki, Thor Aackerlund, Billy Mitchell, Walter Day, Ben Gold, Todd Rogers, Triforce Johnson, Patrick Scott Patterson, Richie Knucklez and more! 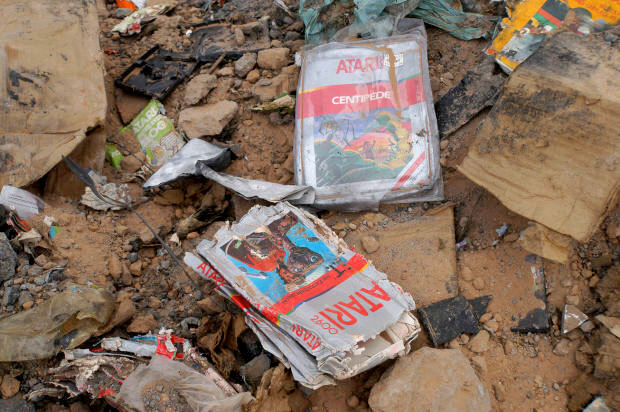 Clearly, Atari did dump product into this landfill, but E.T. wasn't the only game discovered. Some of Atari's best selling titles were also found. Atari was a company in distress and this was the cheapest way to get rid of these assets. I felt the film downplayed the importance of what was found. 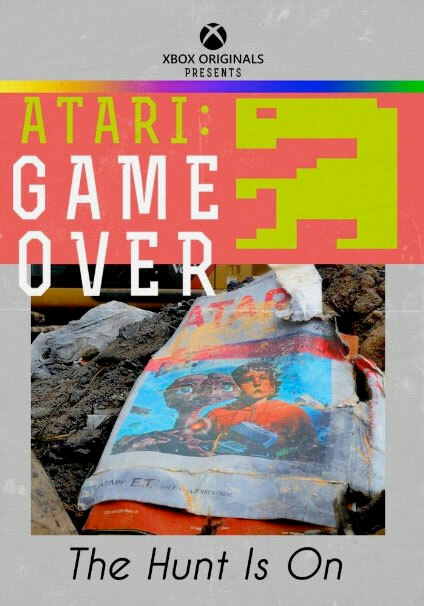 It seemed to rally around whether or not Atari dumped games in the landfill and could they be found. They did a tremendous job narrowing the search and actually recovering nearly 1,000 games from below several layers of refuse. I wish the film had taken more time to delve into the collation and meaning of the game titles found. There's more to this story than simply finding the games. Watch the film and see what you thinks about the quantities found. Let's just say that E.T. wasn't alone "down there". This speaks to the health of Atari in ways we may not have known at the time. They soared to success, but the fall was almost as dramatic. 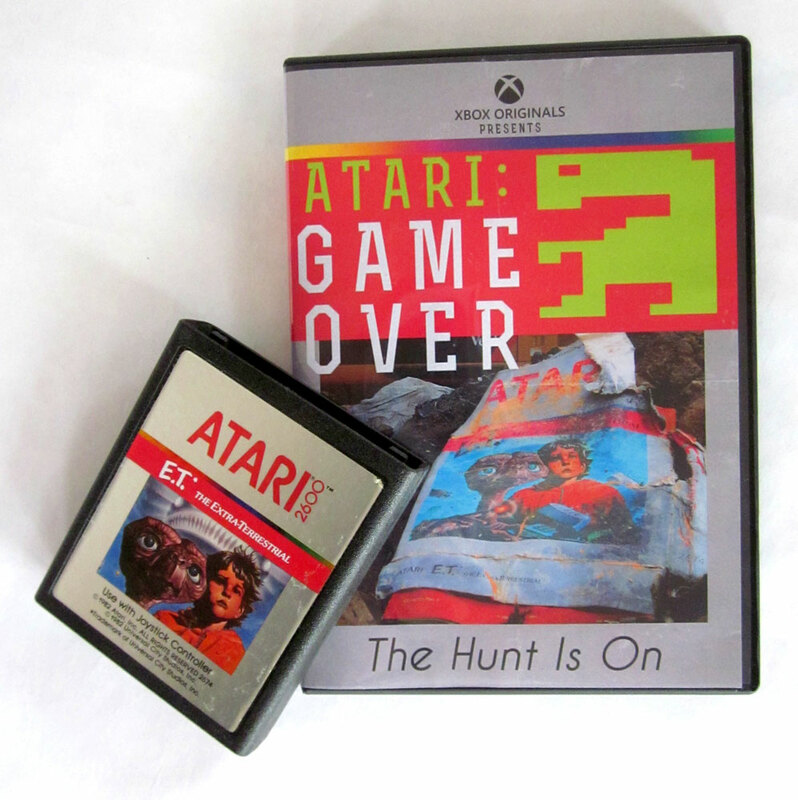 A distinct highlight of Atari: Game Over is the treatment of E.T. developer Howard Scott Warshaw. His success at Atari was legendary! Part of the Landfill Myth placed blame on him for creating the worst game ever. The film does an excellent job of showcasing Warshaw's role and how vital he was to Atari's success. Anyone who's played E.T. The Extraterrestrial know it's a good game. The notion that it was "the worst" is an idiotic sentiment repeated by those too lazy to even play the game for themselves. The film took Warshaw back to his Atari roots and did a great job of demonstrating his importance to success and the amazing games he created. Among other attendees was novelist, Ernest Cline (author of Ready Player One) who arrived in a DeLorean with E.T. in the passenger seat. His comments about Warshaw and the importance of this excavation project were spot on. I wish the film had given similar coverage to other luminaries who were on-scene - especially the archeologists. This film is important as it documents the end of the Atari Landfill Legend. Many of us already knew the answers to some of the questions that make up the mythology and the film lets the primary myth continue for quite a while. Yes, Atari dumped product into the landfill. What is interesting is finding the product and making sense of what was found. They spent too much time pondering this idea that I'd have liked to see spent with those digging, discovering, and making conclusions. Before you watch this film, play Atari's E.T. game, read Cline's Ready Player One, then give this film a look. If you're a fan of Atari, it marks a milestone in it's continuing history and offers a lot of good info and interviews. The story isn't just about digging up garbage. It's the story of the people who forged an amazing industry and introduced so many people to the notion of home entertainment and computers. gives a lot of background info, but it didn't tie in the importance of what was found versus the decades-old legend. Although I enjoyed the film, it didn't capture the excitement on-location. It's worth watching simply because it documents the big dig.